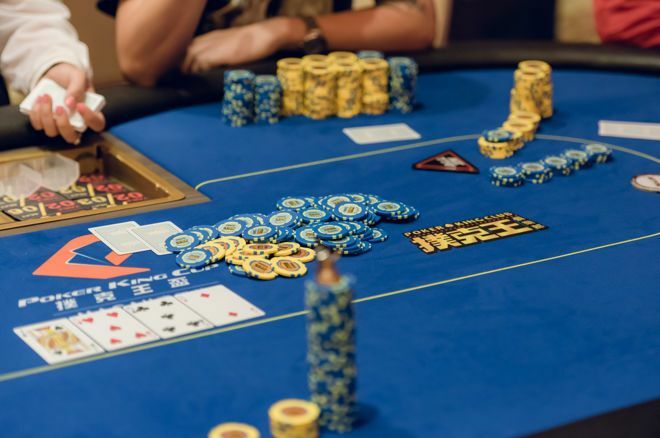 Why do poker players often overestimate their own skills? Duncan @AskTheMathDr Palamourdas knows why. Overconfidence can be a killer in poker. Learn why so many players tend to overestimate their skills. In Elements of Poker, Tommy Angelo once famously joked that "75% of players think they are better than the other 75%." This idea actually has its roots in what social psychologists call "illusory superiority," a cognitive bias that causes people to think they are better at a given task than they actually are. Such a bias has been documented across various domains. For instance, most people think they have healthier than average habits when it comes to eating and exercise. About a quarter of the population thinks they are in the top one percent in their ability to get along with others. The overwhelming majority of drivers think they have above average skills, while almost all professors think they are better than half of their colleagues. The list goes on and on and on. There are numerous reasons for this phenomenon, ranging from pure egocentrism to a variety of judgment biases based on self-incompetence. One needs competence to assess one's own incompetence. In other words, being bad at something often means that we are also bad at judging it. What is interesting, however, is that all of the above claims are easily falsifiable, a concept helpfully defined by the philosopher Karl Popper. As Popper explained, a theory is falsifiable if it allows for its own refutation through observation or experiment (the theory can be proven wrong). For instance, the statement "All humans are less than 10 feet tall" is falsifiable, while the statement "All humans are mortal" is not. For the first statement, it would only take the existence of a single human who is taller than 10 feet to refute the claim. The second statement is more complex. To refute it, we would need an immortal human. The issue is however, that immortality cannot be tested within a finite environment, not even in a hypothetical setting. A human would need to survive infinite tests to prove its absolute resistance to death, something not technically possible within our restricted time frame. In that sense, no test (not even a hypothetical one) could ever disprove the claim. Falsifiability is important in relation to illusory superiority because falsifiability can help dispel the illusion. For example, it would only take one driving test for everyone to see their true skills compared to everyone else, or one evaluation from students for professors to see where they truly stand in relation to their peers. In other words, part of the reason we humans generally lack the skill of self-evaluation is due to the absence of legitimate evidence pointing in the other direction. We tend to fill in the blanks however we see fit, usually in our favor. But in the presence of overwhelming evidence — barring some initial denial — we must embrace the truth and readjust our assumptions. That, or we ignore it at our peril. Returning to games, delusions such as those described above are notably absent in games of pure skill like chess or Go. There, no matter what opinion one may have about one's own competence, the results do not lie. There is no fuzziness or ambiguity. If Bob loses at chess against 90 percent of his competition, he is in the bottom 10 percent of that pool. And if Charlie beats 70 percent of his competition, he is in the top 30 percent of that pool. In games of pure skill, only half the players will feel that they are better than average while the other half will not. As both groups should! Unfortunately for poker, things are not so clear. That's because poker is a game in which chance is involved. Players have an extra layer of "excuses" to justify their bad plays. For instance, it is very tempting for Bob to say that Alice got lucky every time she wins and that he played great every time he wins. Compounding the situation, sometimes the correct play is penalized by bad luck and the wrong play rewarded by good luck, adding another (seemingly) "unfair" factor into the mix. The result is we have an ugly, unsorted agglomeration of different plays, ranging from terrible to brilliant, all looking so dangerously similar to one another that only a thorough examination under the "analysis" microscope could reveal their true nature. Let's imagine Alice to be a player who is fully aware of that subtlety in poker. As a consequence, she never evaluates a hand she has played based on its outcome. In other words, Alice tries not to be "results oriented." Who wins each pot is irrelevant to her, because it involves information she has no access to during the hand (namely, her opponent's hole cards). Instead, she focuses on whether she made the correct decision based solely on the information available at the time. She can incorporate new information and adjust her strategy accordingly. For instance, if Alice folds a big hand to Bob because she knew that Bob had not been bluffing much up to that point, this would be the correct play. It would still be the correct play even if Bob shows her a bluff. Besides, how could she know beforehand that Bob had decided to change his strategy? She could not. However, she can now update her mental database with that new information and be ready to draw upon that information when facing Bob in all future hands (now expecting him to bluff more than she initially thought him capable of). Conversely, if Alice wins a hand, she knows that does not mean she played it correctly. She will still put it under the microscope after the session is over to make sure her play was indeed the right one. This strict, evidenced-based, self-evaluation process is probably the biggest factor separating players like Alice from average players. It is worth noting that Alice loves the fact that her opponents vastly overestimate their own skills. This not only reveals an underlying incompetence, but more importantly shows a lack of awareness of serious shortcomings in their strategy. This lack of awareness results in an inability to correct errors and improve their strategy, dooming them to repeat the same mistakes and leak money in Alice's direction. It is said that overconfidence is a slow and insidious killer. That is certainly true in poker. Go ask Alice, who like other above average poker players finds Angelo's joke incredibly insightful. Konstantinos "Duncan" Palamourdas is a math professor who specializes in the mathematics of poker. When not at the poker tables, Duncan can be found teaching poker classes at UCLA extension to people of all levels. His passion for simplifying complex poker concepts has also led to a poker book, contracted to be published by 2020. You can follow Duncan on twitter @AskTheMathDr.